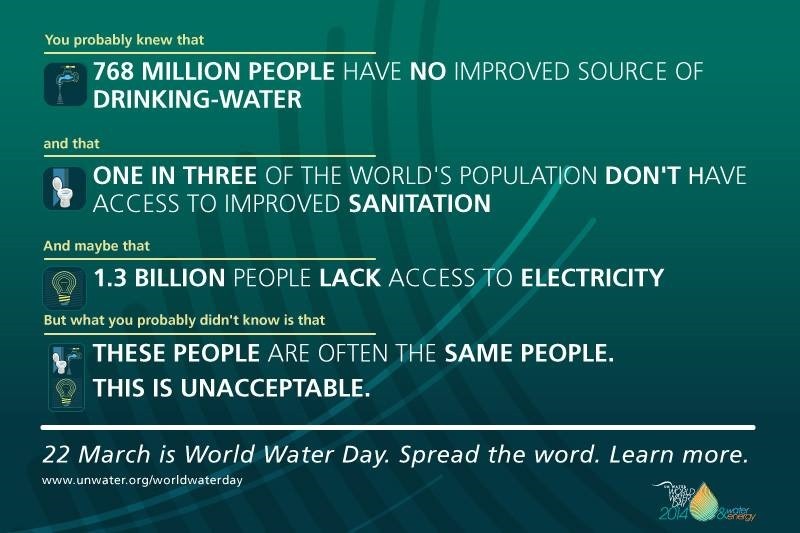 Today is U.N. World Water day! My smartass Twitter comment was that I’ll spend the day reflecting on things, but seriously… water is our most precious resource and we really need to start taking care of it. Since joining Aquatic Informatics software, I’ve had much more exposure to stories of water-related issues around the world. We’re working to provide the software the world needs to make smart water policies based on actual data rather than speculation or lobbying. We need to let science decide how we can provide better access to clean drinking water and more widespread use of renewable resources for power generation. “Did YOU know that… by 2035, the global energy demand is projected to grow by more than one-third and demand for electricity is expected to grow by 70%. 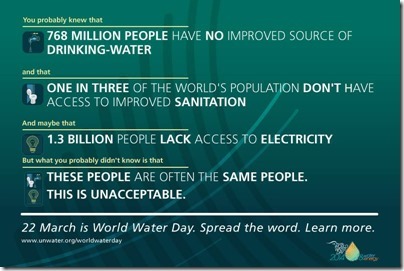 22nd of March is World Water Day. The theme for this year is Water & Energy.